We’re almost half way through the summer! It’s going by so fast, like whuuutttt. I think some Fit Girls are already starting to think about what goals to set next. I mean, in order to remain motivated and passionate you have to have a clear mind about why you’re doing this and how can I do this. Often the summer is when Fit Girls take a break and celebrate their achievements. Now, we totally agree with treating yo’ self and enjoying the summer! However, sometimes Fit Girls lose their flow and then struggle to get back on track. We want to help our Fit Girls avoid any negative thoughts and feelings, which is often done by getting in a quick workout! A workout will make you feel extra good about yourself and will help you get back into that workout routine. Not in the mood for a looonnggg workout session? No worries! With this quick HIIT core workout you will get in enough exercise. Start your HIIT circuit with this exercise: Spider plank! Hit that timer and let’s get those 45 seconds going. After the 45 seconds you will get 15 seconds of well deserved rest. But first you gotta attempt this mighty sweaty exercise. How to: Start in a plank position. Then ,push down and lift your knee up to your elbow. After a 15 second rest you get back to work by doing 45 seconds of the exercise above. How to: take on the plank position while holding a dumbbell in each hand. Then, slowly lift one arm up to your shoulder. After this, slowly go back to your starting position. Simply repeat this with both arms. Make sure to keep your core stable in order to fire up those abs! This is an exercise that I personally love to do as it truly buuurnnssss. You know the drill, after a 15 second rest, get this exercise going for 45 seconds. It is very important to keep up with the timer properly as this will ensure a successful HIIT workout. The more you move, the more you sweat! Don’t let your muscles get cold by taking a break for too long. If you don’t know them yet, Fit Girl meet Russian Twists. This is a love and hate relationship that’s unavoidable. In order to work the side of your abs, aka the olbiques, you NEED this exercise. The heavier the weight that you choose to use, the more intense the workout will be. How to: Sit in a V-position. Then slowly turn from side to side with the weight in hand. Keep your core stable in order to put pressure on your abs. 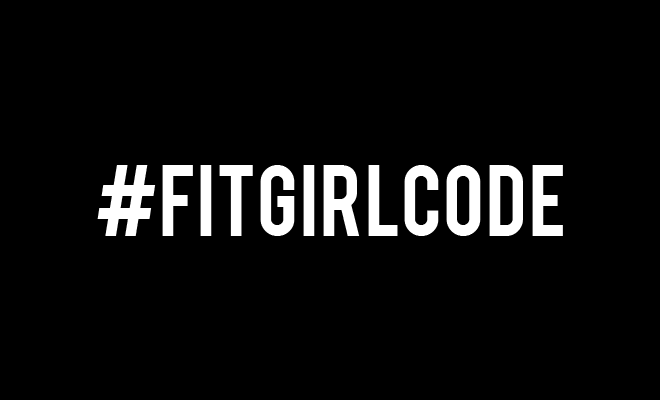 If you didn’t know so yet, this workout is heavily inspired by our Fitgirlcode Guide. The picture above is actually a sneak peek from our Guide! Now, repeat the usual 15 second rest (use the rest to catch your breath, or take a sip of water, maybe even wipe off some sweat). How to: Plank position, here we go again. The touch with your right hand, your left toe by bringing the two to the middle. And, repeat with the other leg. Keep this up for 45 seconds! The final exercise in this HIIT circuit is the scissors. Don’t give up just yet! Because you’re going to have to repeat this circuit 2-3 more times (depending on how long you want to workout for). Luckily after you have finished this whole circuit you get to have a 75 second rest. Take this time to stand up, walk around a bit, and DRINK WATER!! How to: Lie down on your back, place your hands under your lower back. Lift your legs, and feel those abs tighten! Now slowly move your feet above and then below the other.